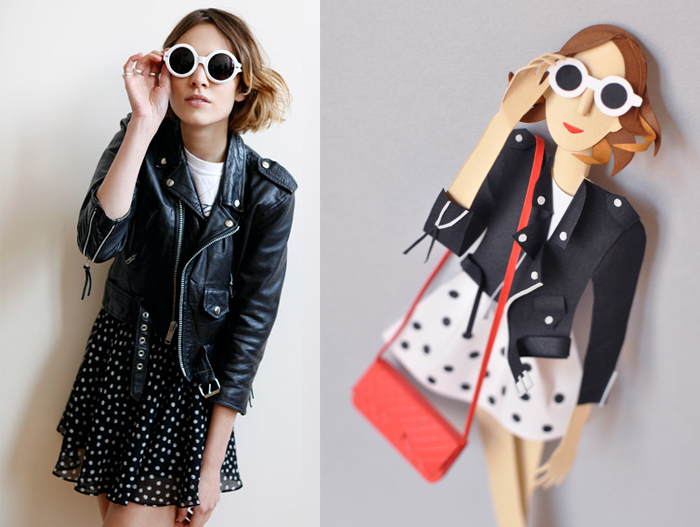 The gorgeous Alexa Chung! She has the talent to rock a simple outfit! 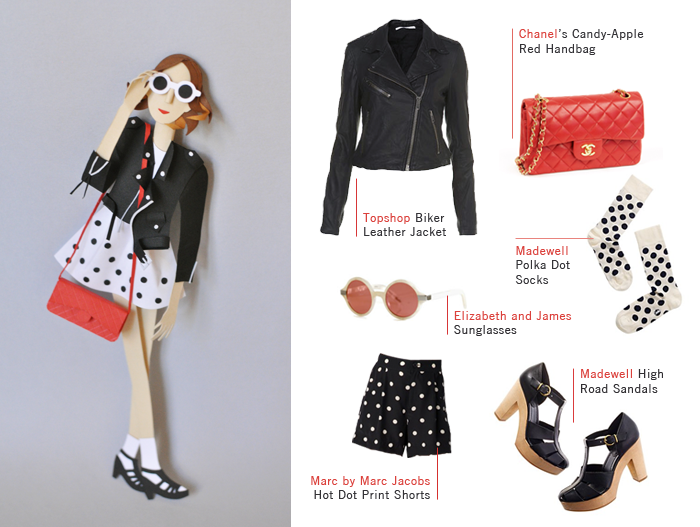 The polka dot skirt that will never go out of fashion, a biker leather jacket and rounded sunglasses! A perfect combination. I just added a Chanel inspired red purse for a bit of color! Thank you! I am glad you like it! More styles to come!